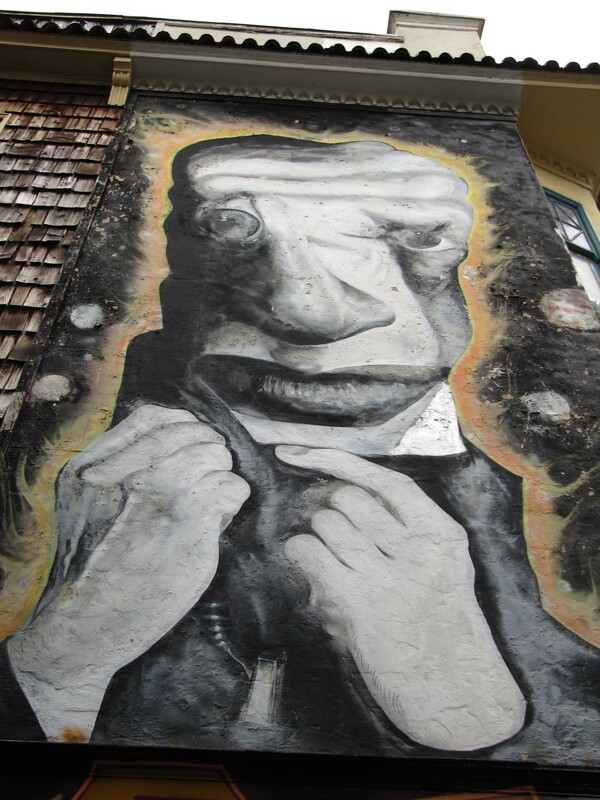 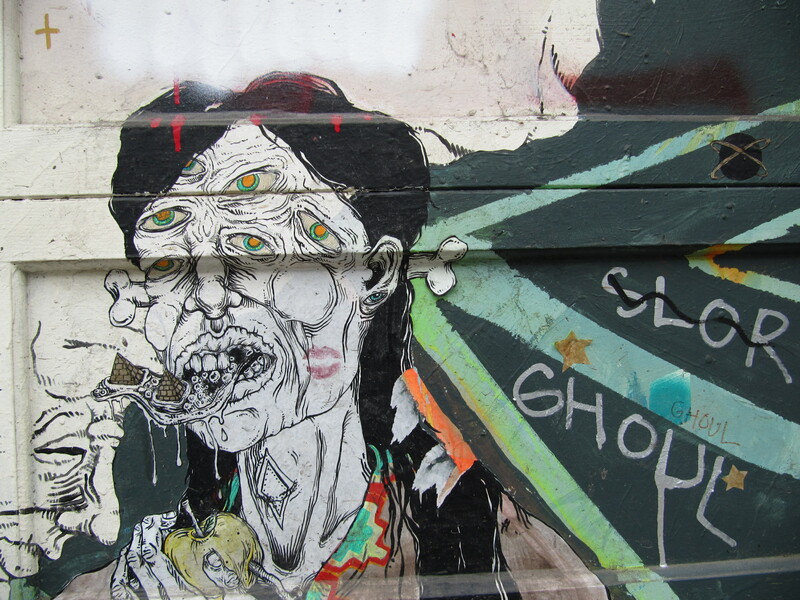 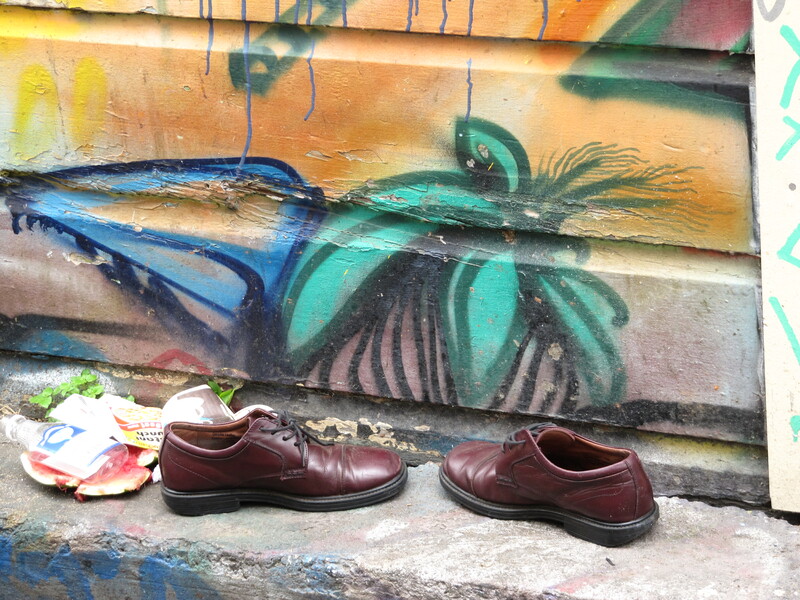 While walking through the city today we stumbled on an alley filled with murals. 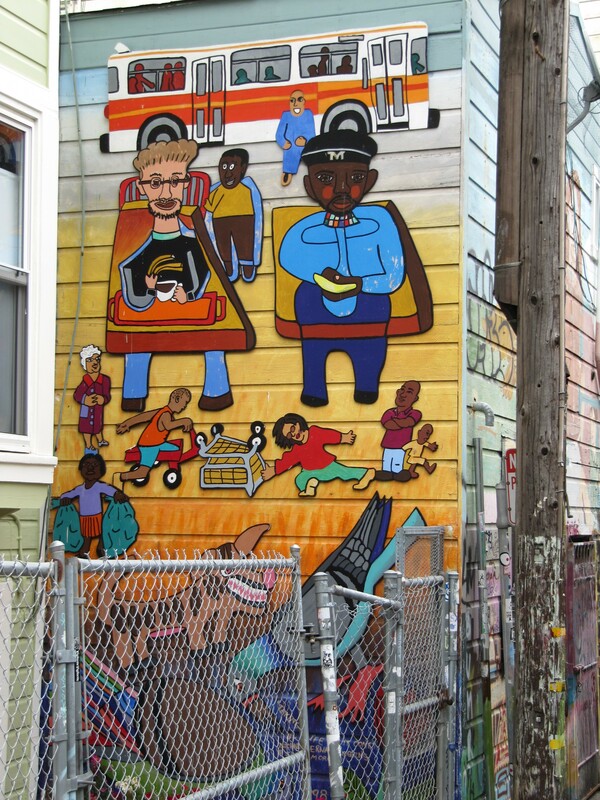 Ironically one of the murals was featured on the cover of a book I’ve been wanting to get called Street Art San Francisco: Mission Muralismo. 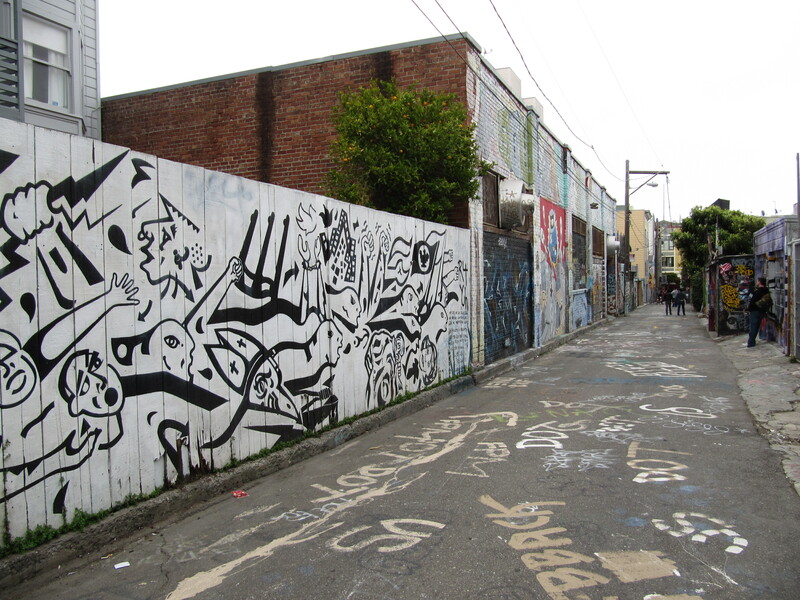 It was probably my second favorite part of the day because I love seeing art out in the open for all to enjoy. 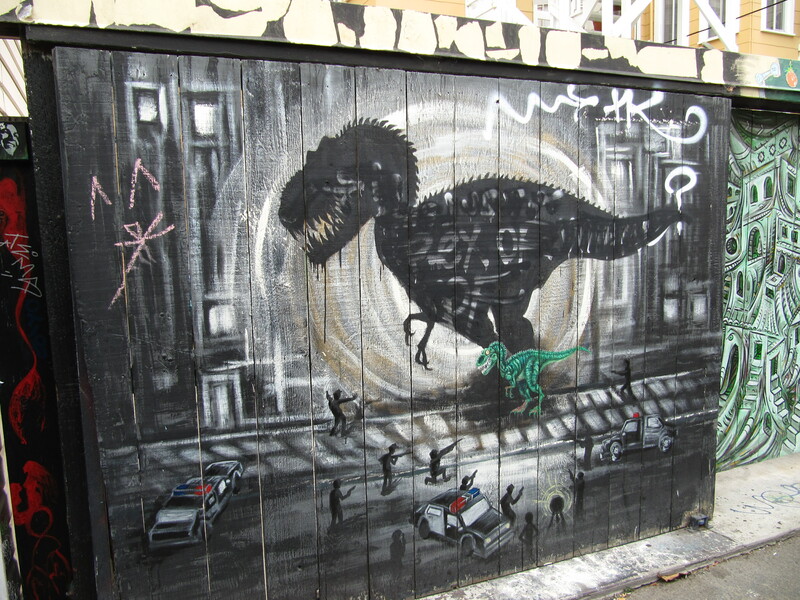 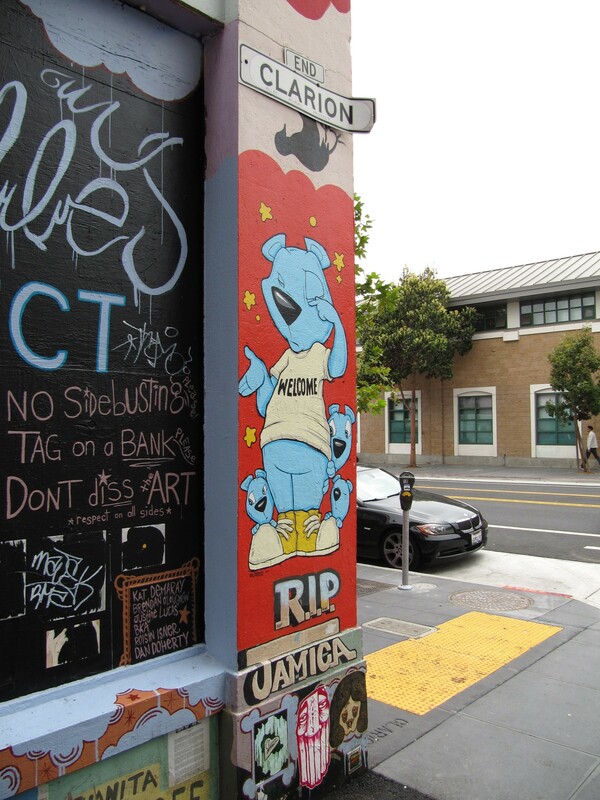 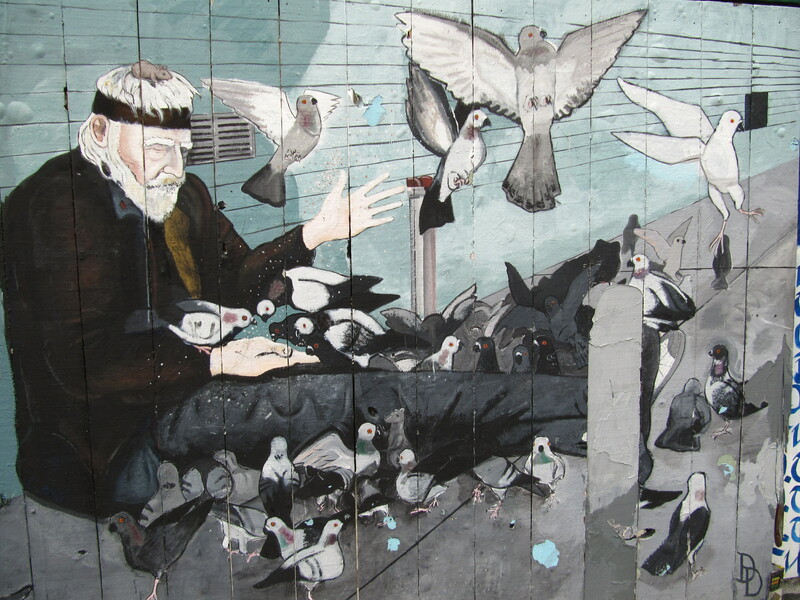 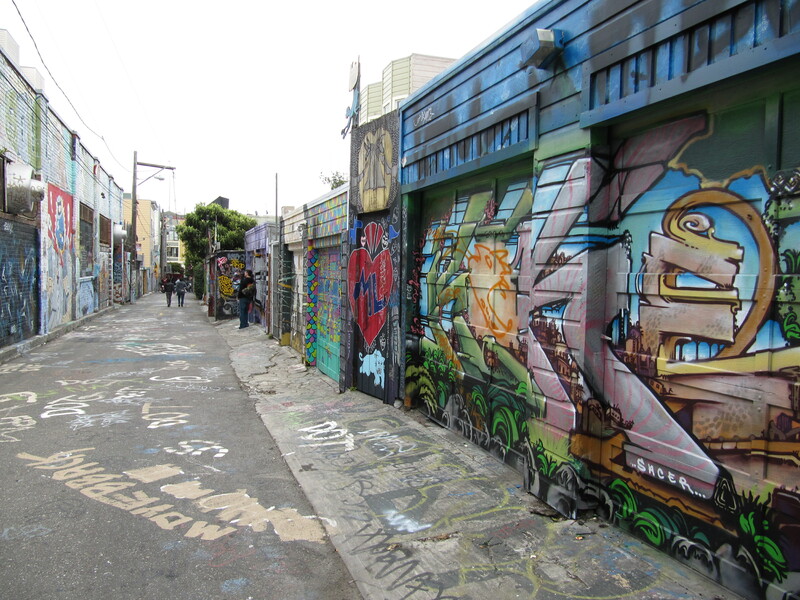 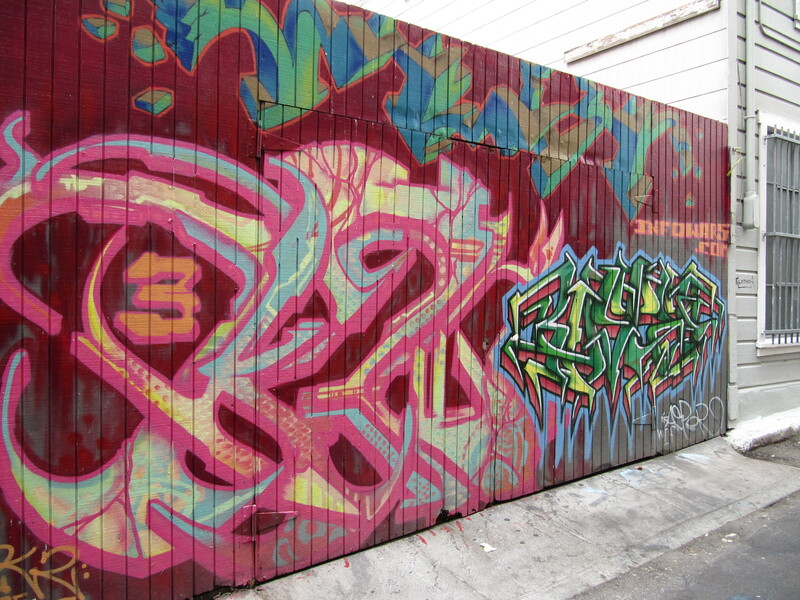 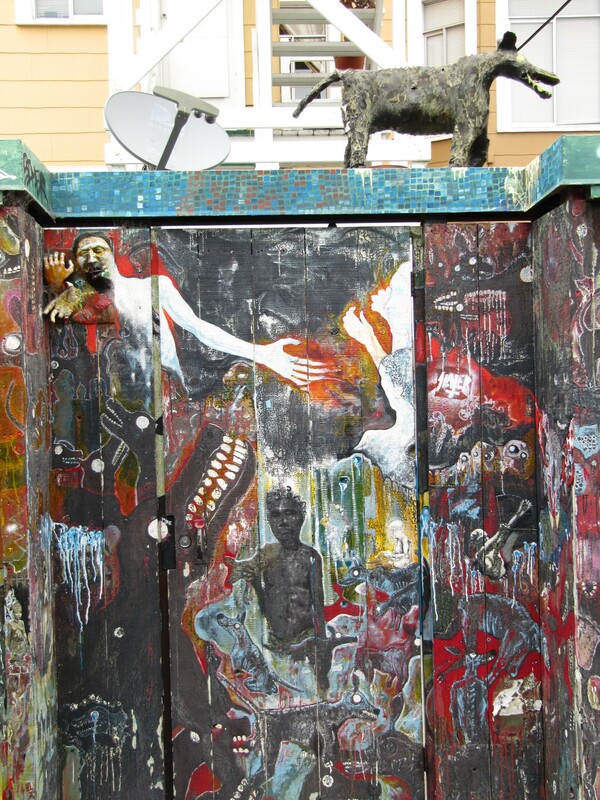 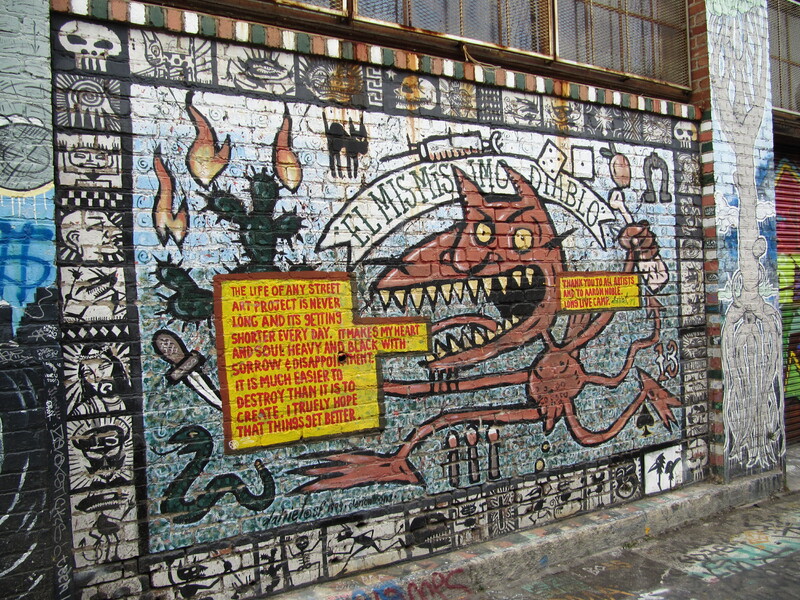 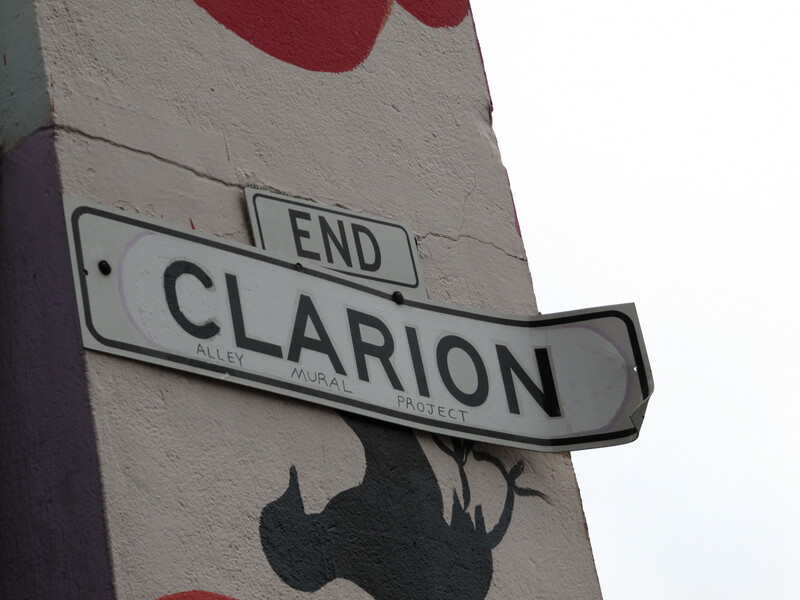 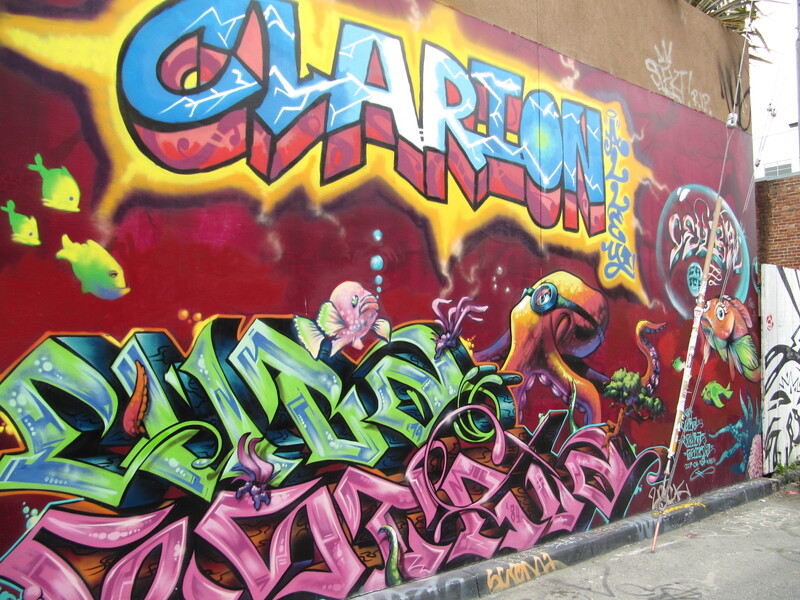 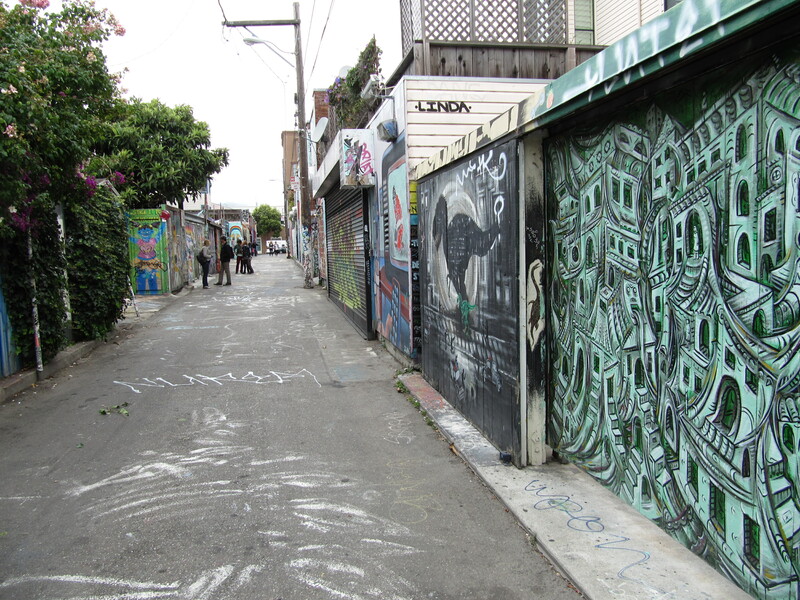 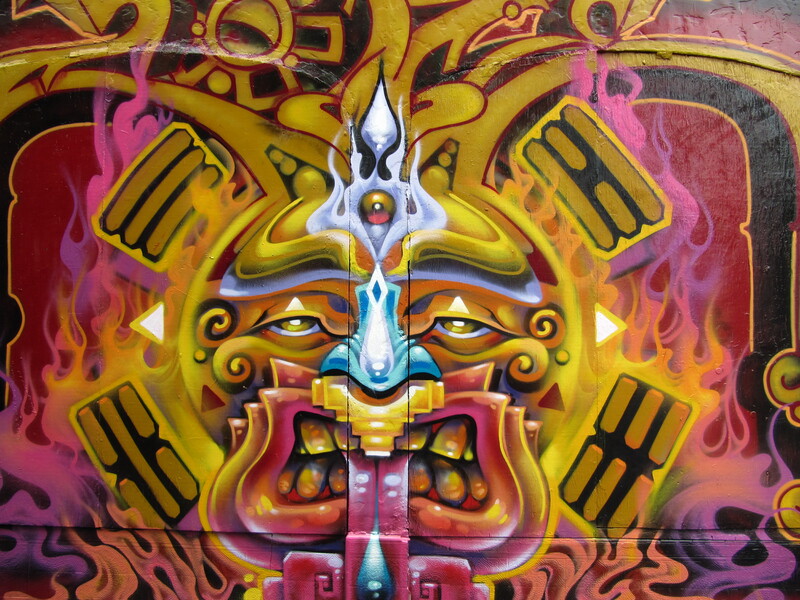 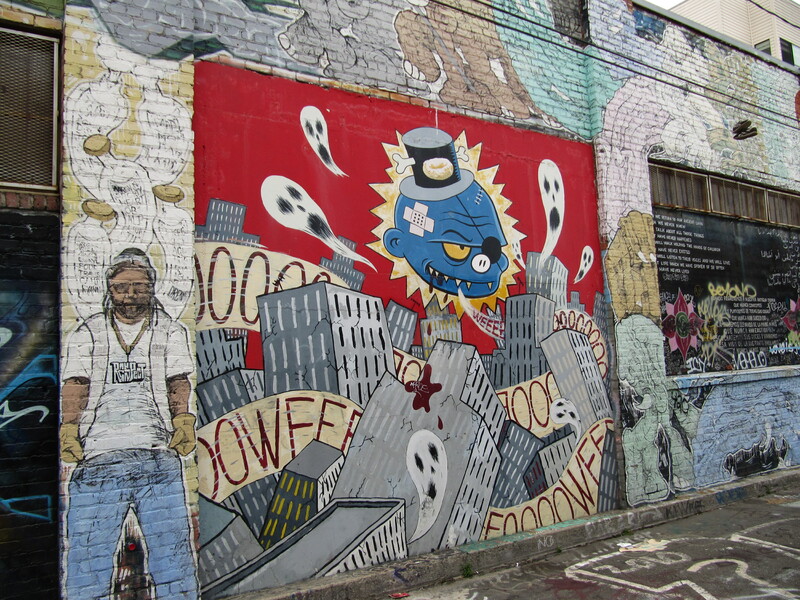 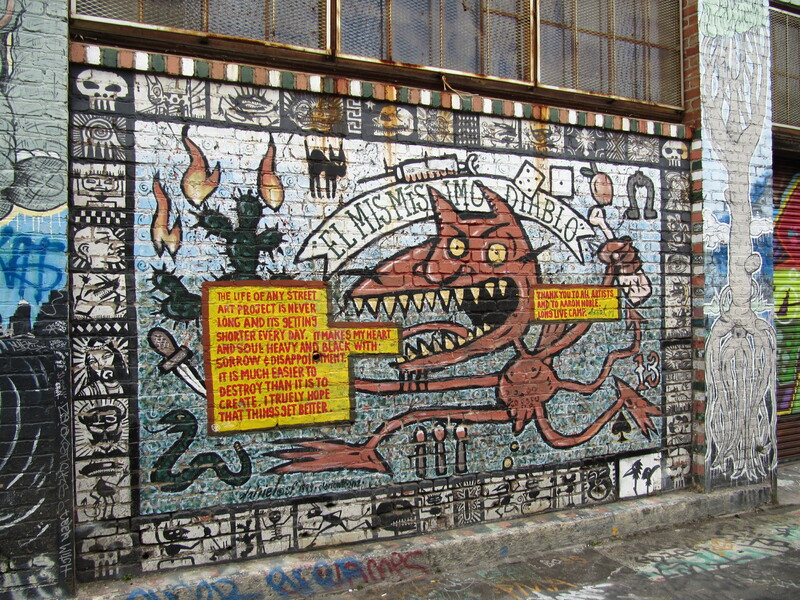 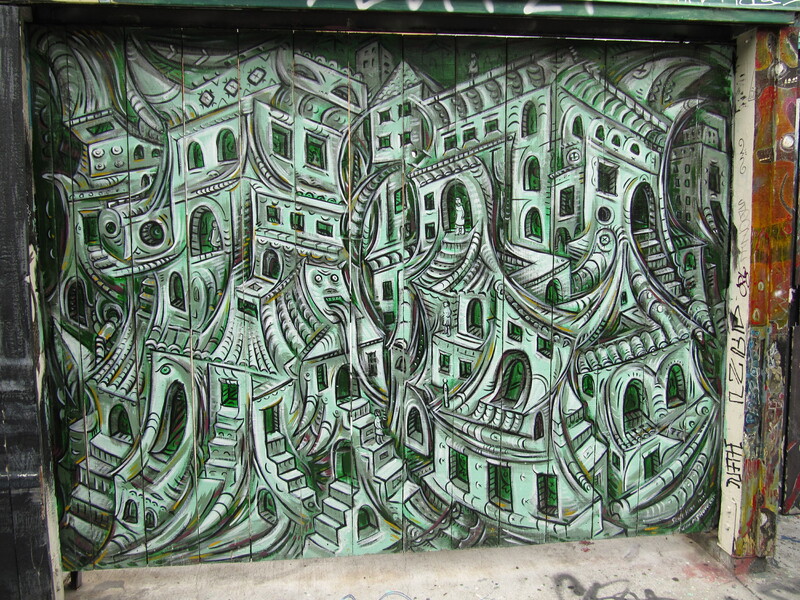 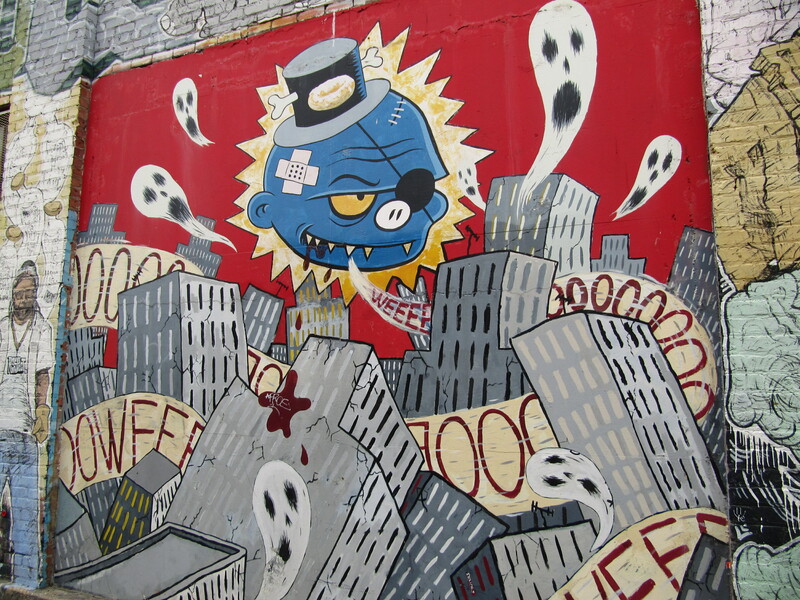 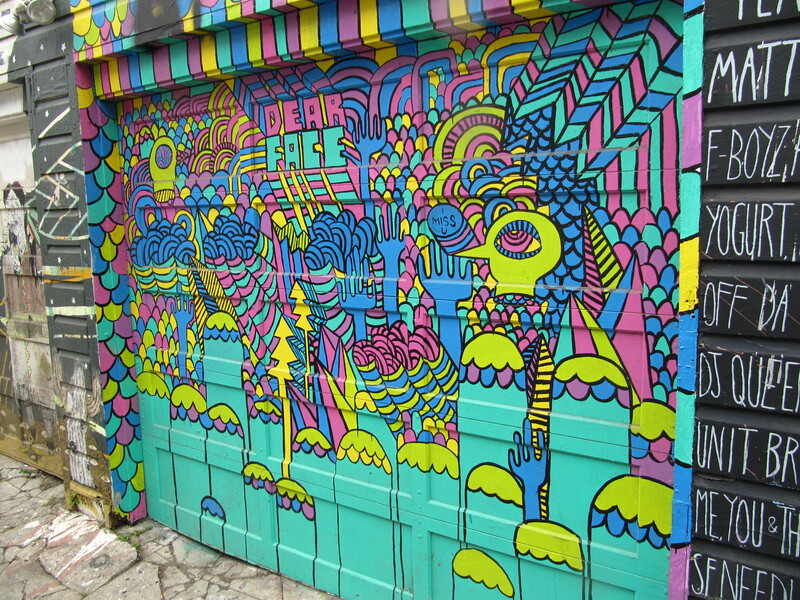 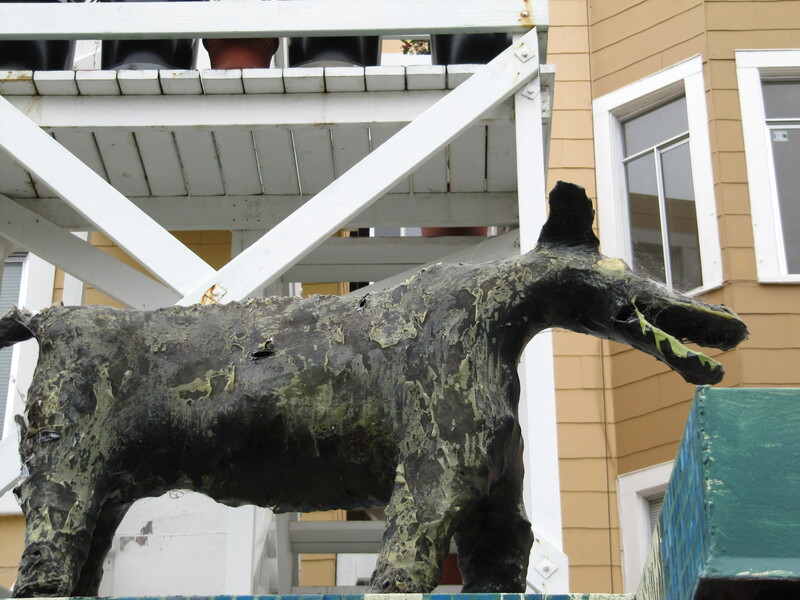 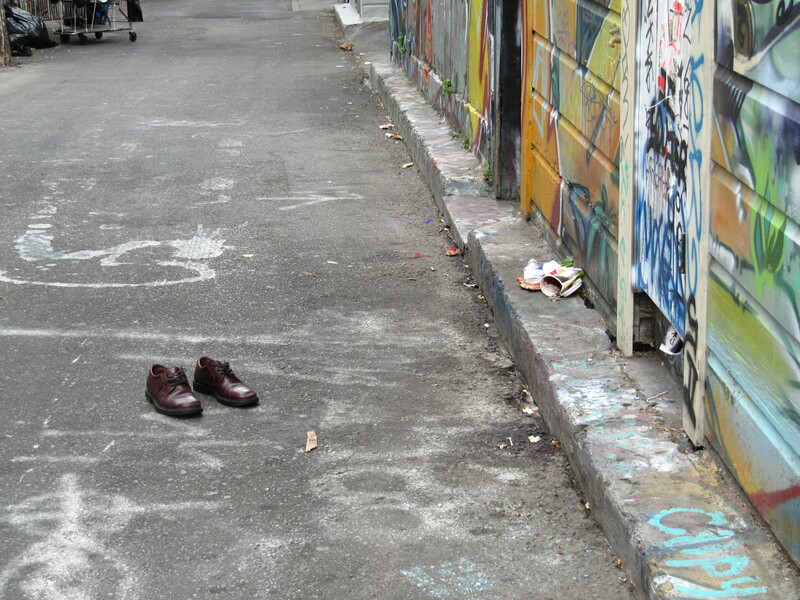 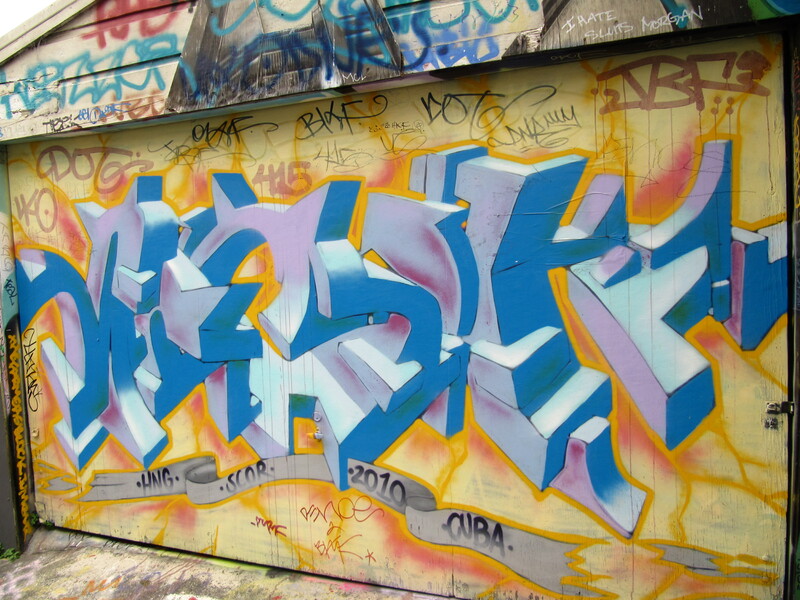 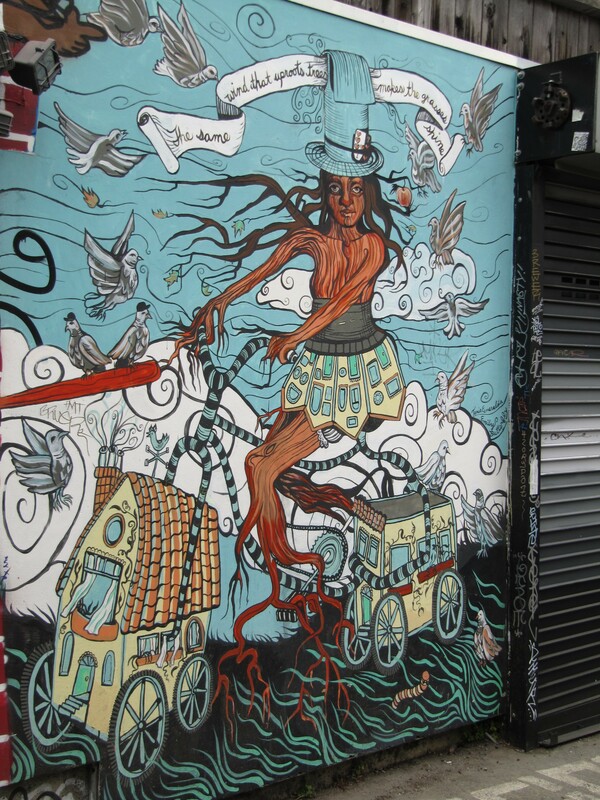 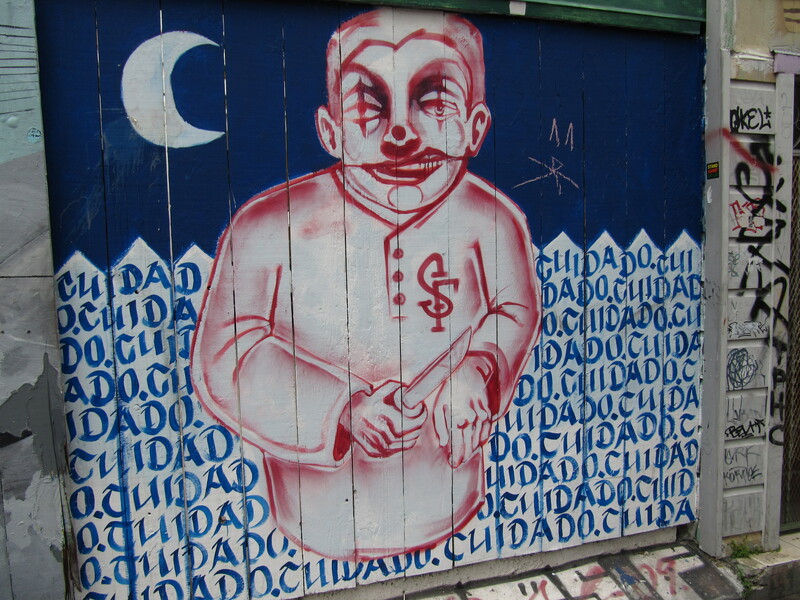 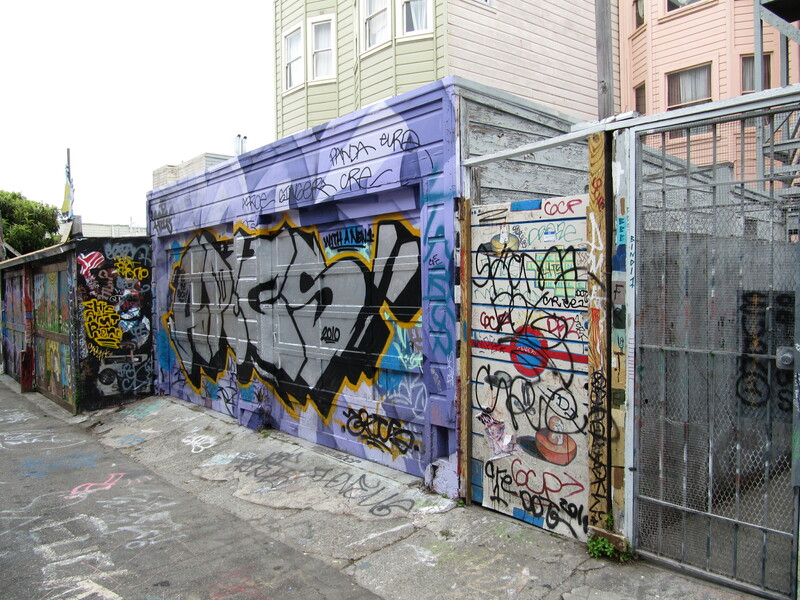 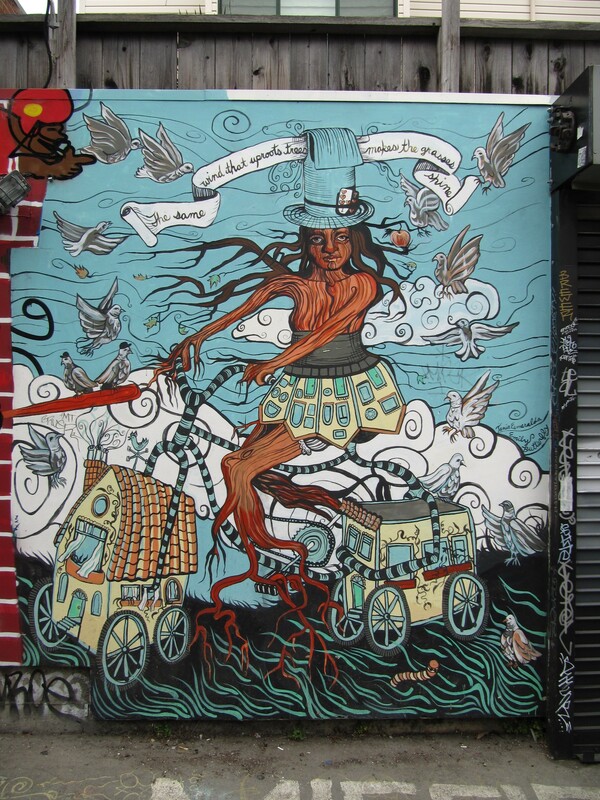 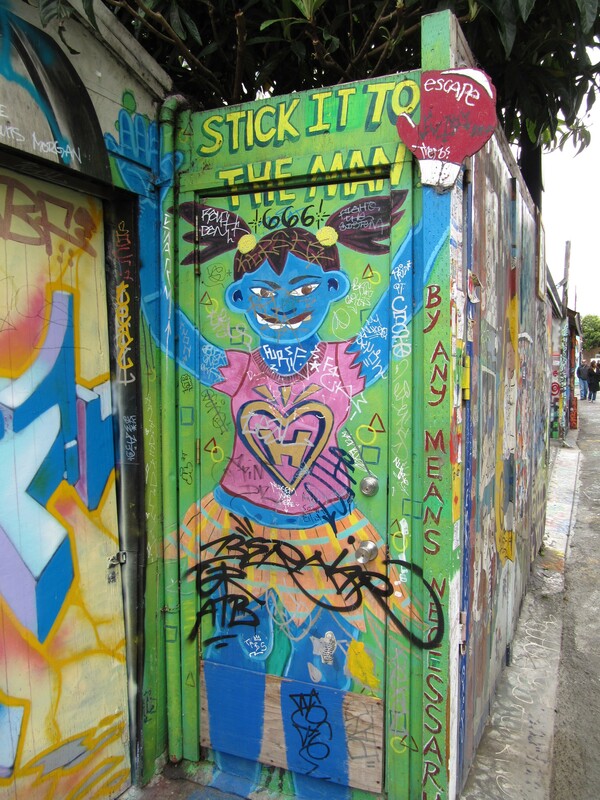 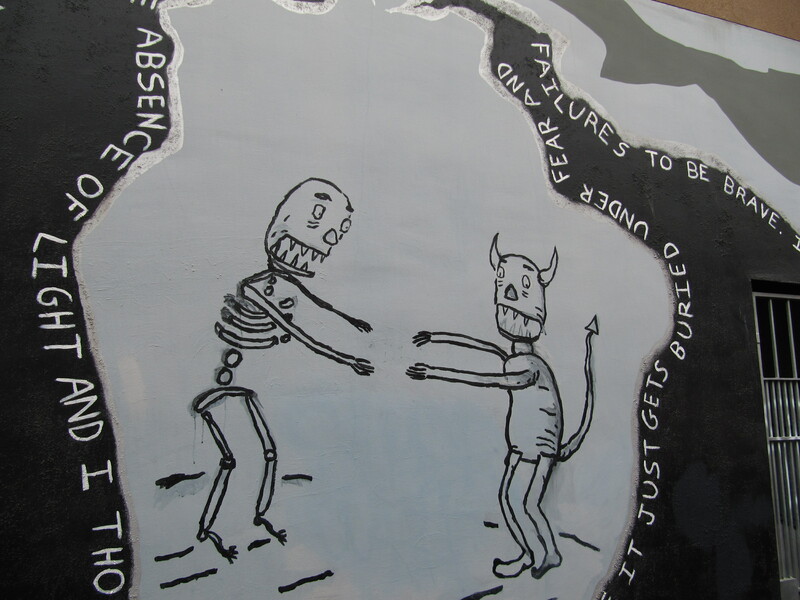 The Clarion Alley Mural Project (CAMP) was established in 1992 by a volunteer collection of six North Mission residents. 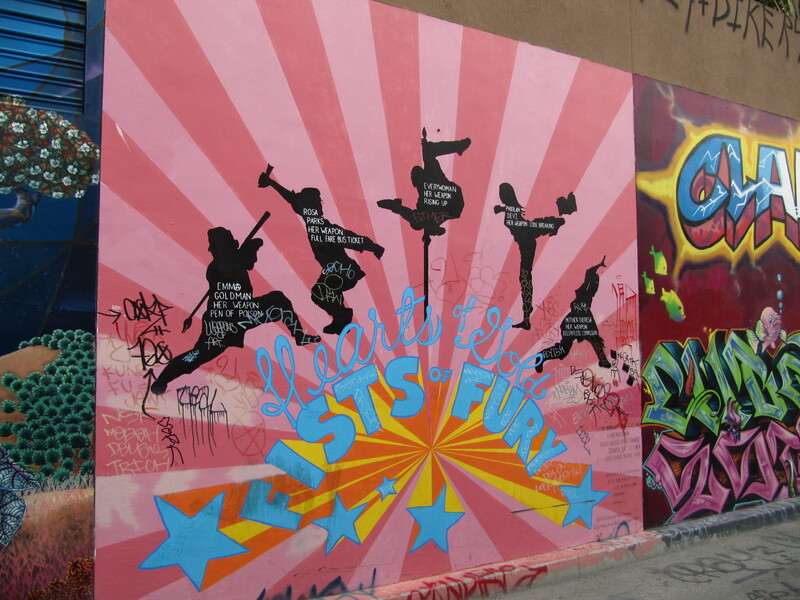 The founders of the project were Aaron Noble, Michael O’Connor, Sebaiana Pastor, Rigo 23, Mary Gail Snyder, and Aracel Soriano. 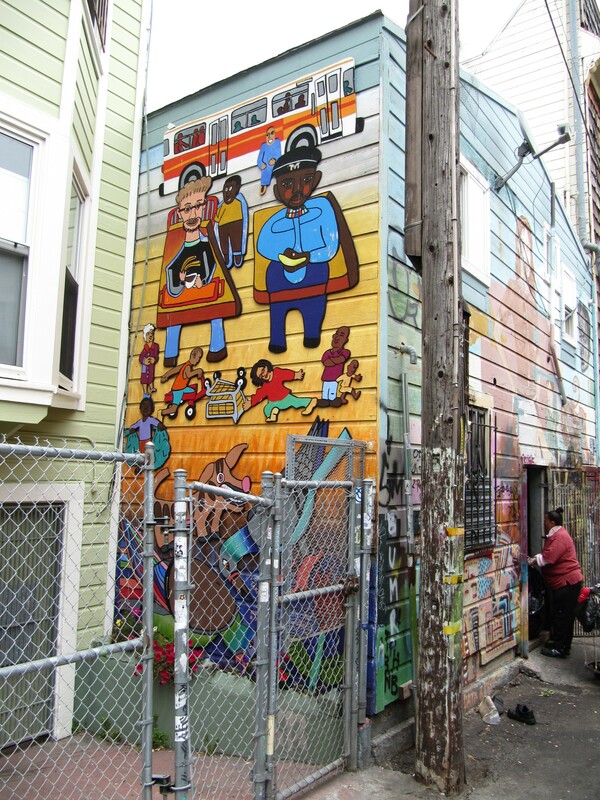 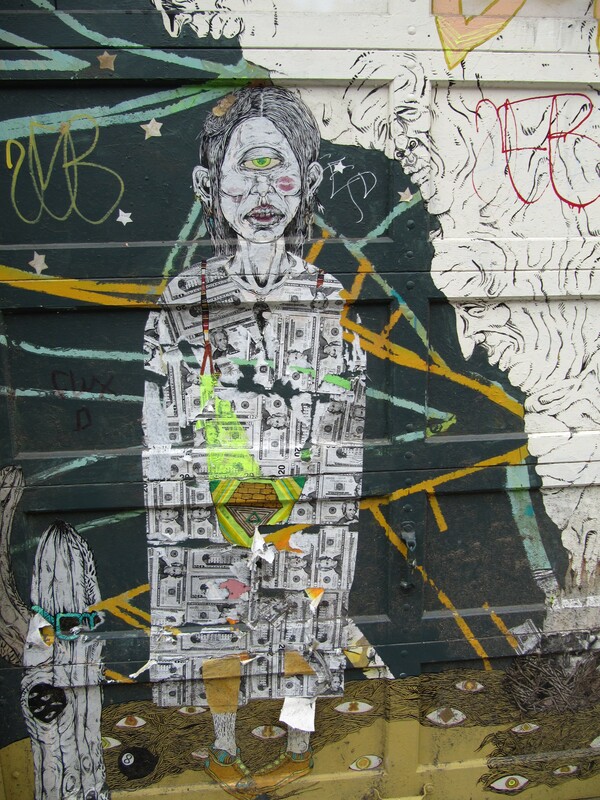 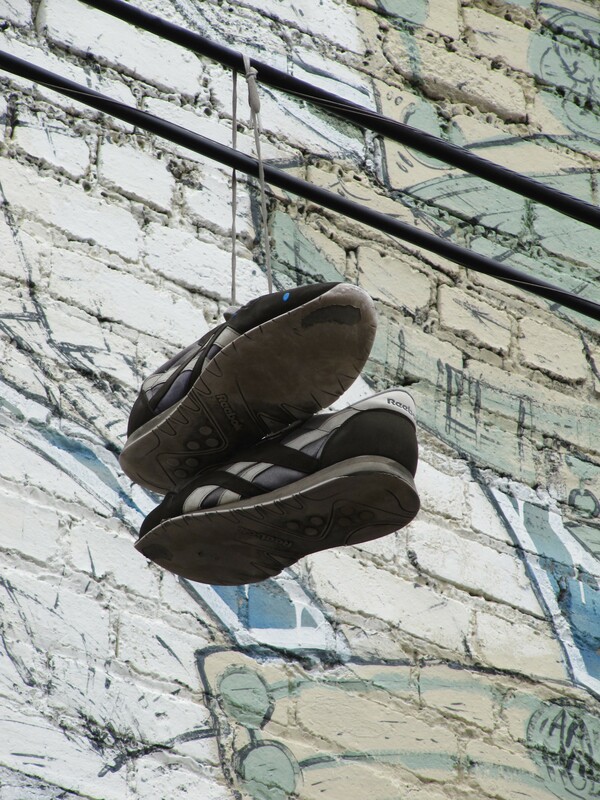 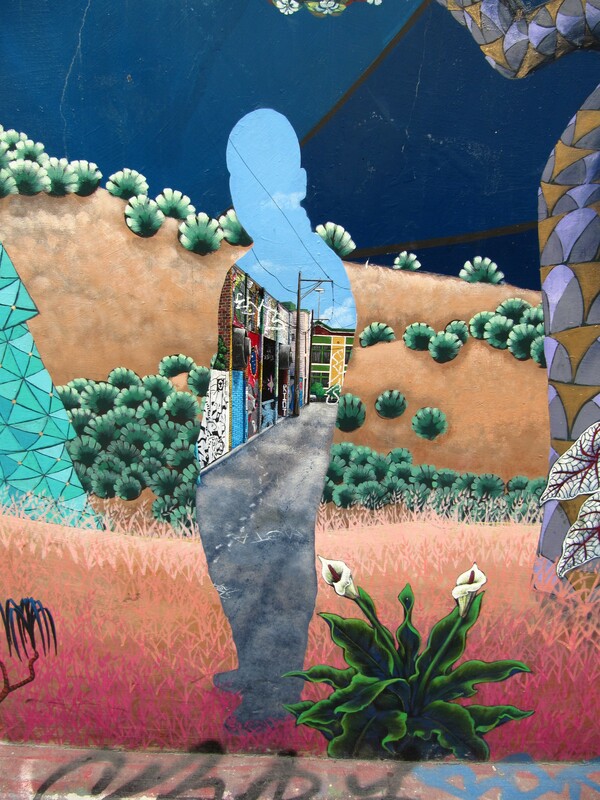 Directly inspired by the mural cluster in Balmy alley, CAMP determined from the outset to be as thematically, culturally, and stylistically varied as our North Mission neighborhood.